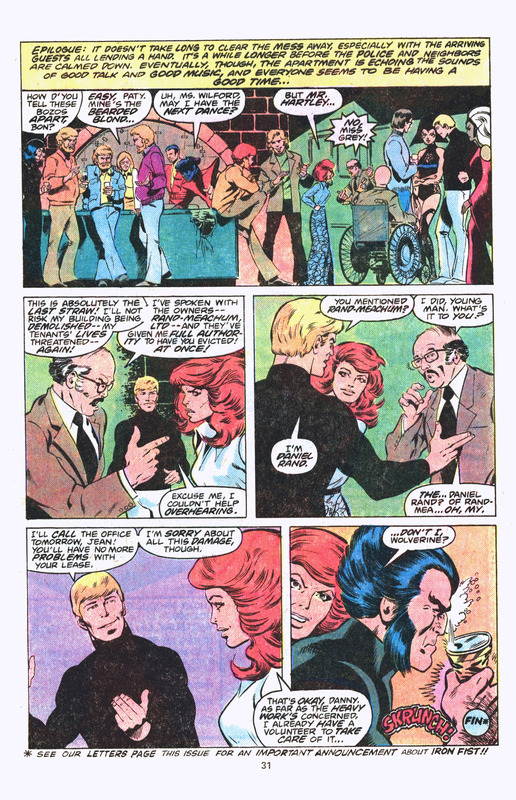 Jean Grey uses her mutant powers in public. 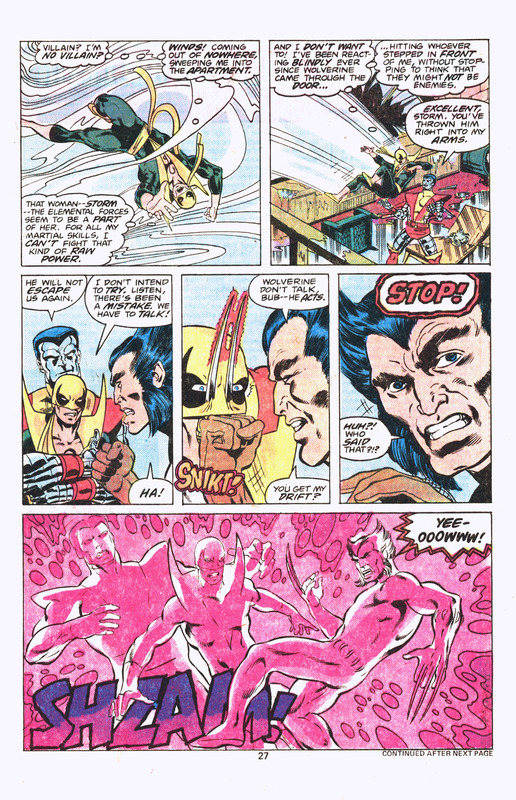 Magneto rips Wolverine’s adamantium out. 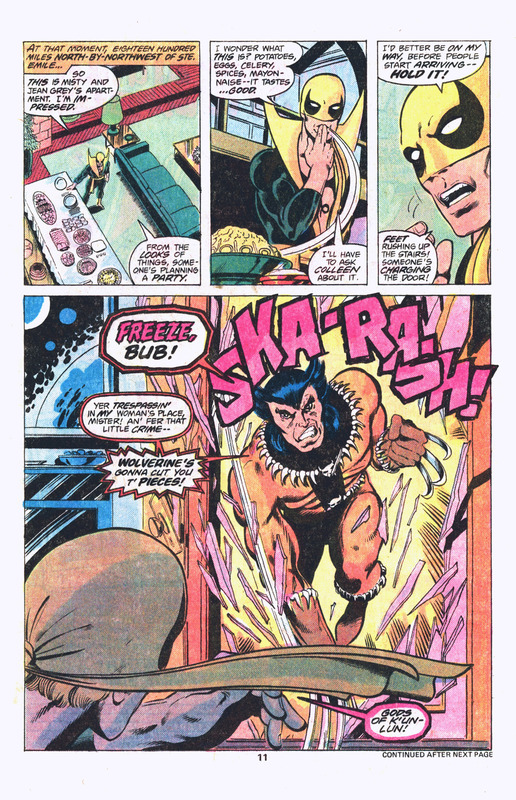 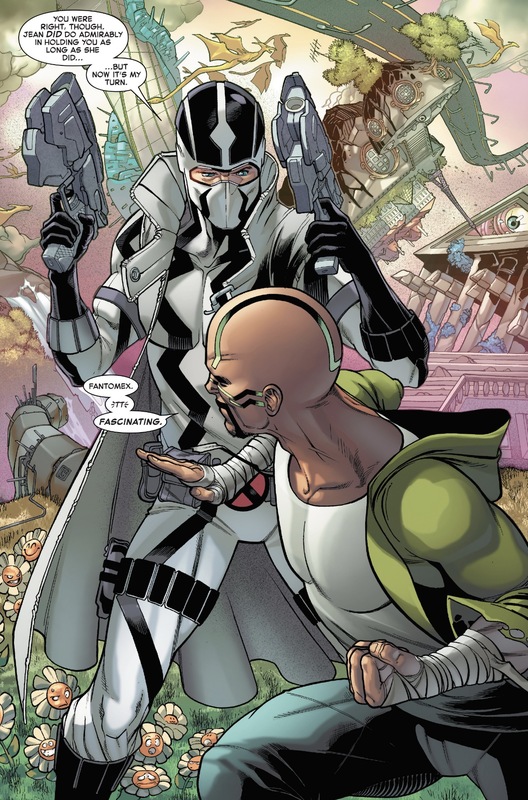 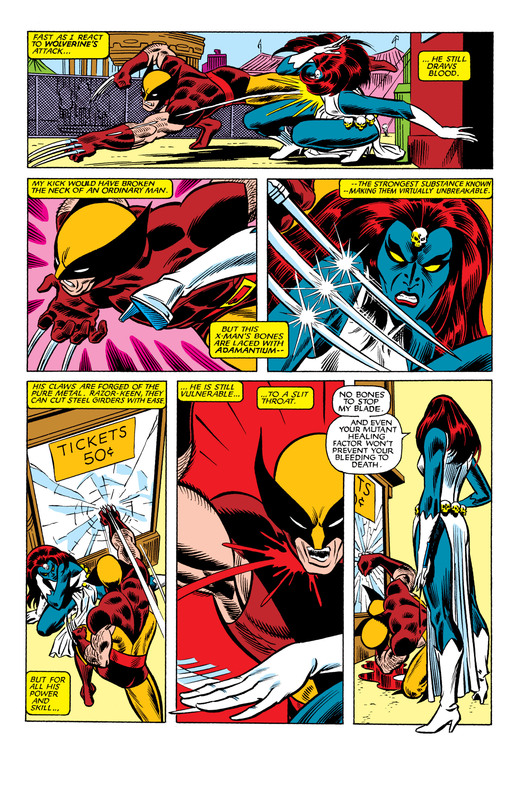 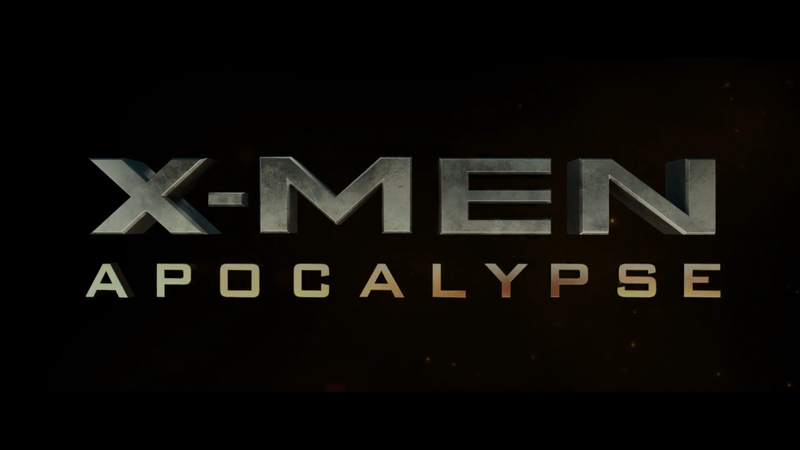 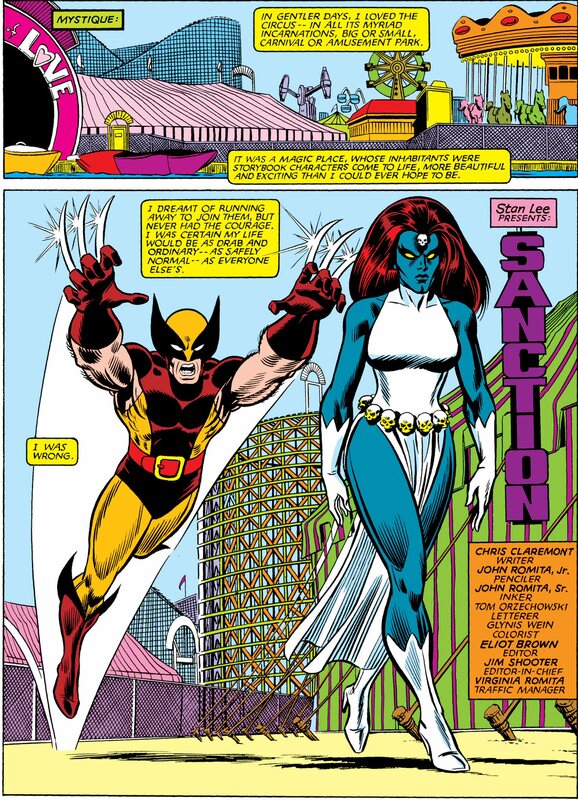 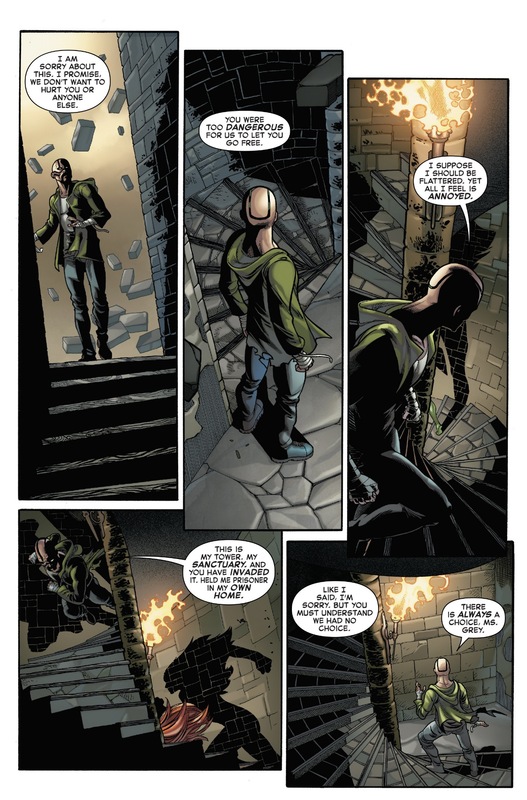 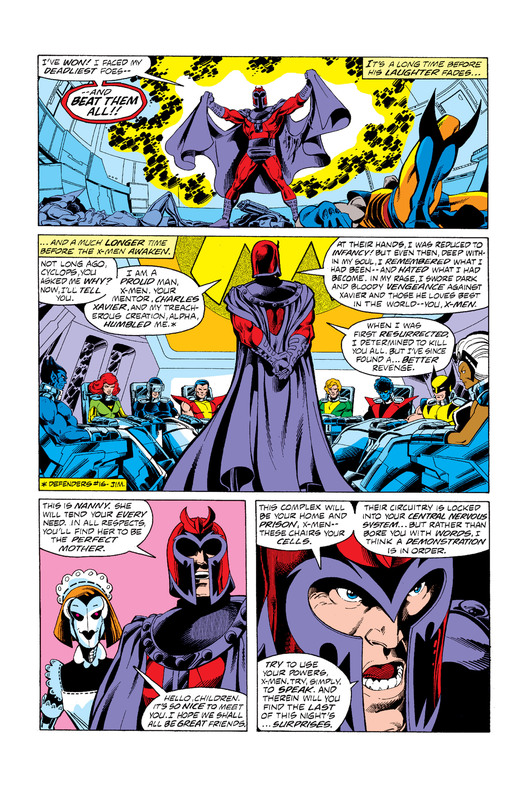 This entry was posted in Adamantium, Gambit, jean grey, Magneto, Quicksilver, Rouge, Uncanny X-Men, Wolverine, X-Men and tagged adamantium, gambit, jean grey, magneto, quicksilver, rouge, uncanny x-men, wolverine, x-men on August 28, 2015 by lowbrowcomics. 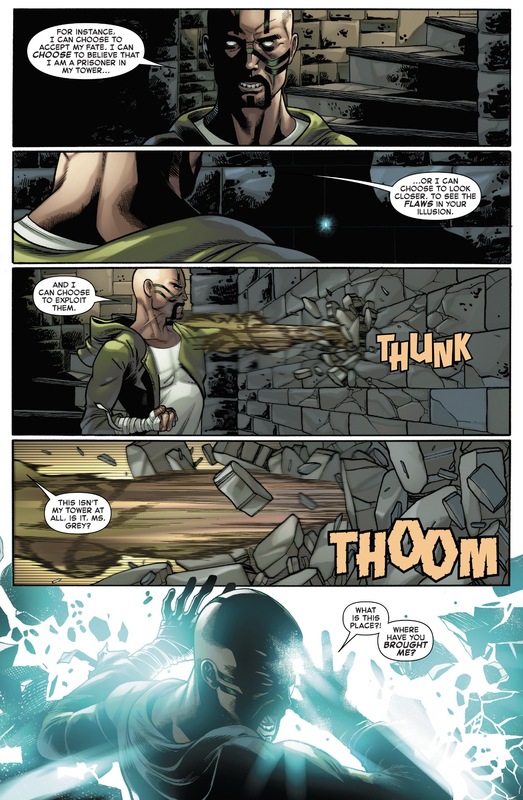 I am what was, what is, what will be — The Black Angel, Chaos-Bringer! 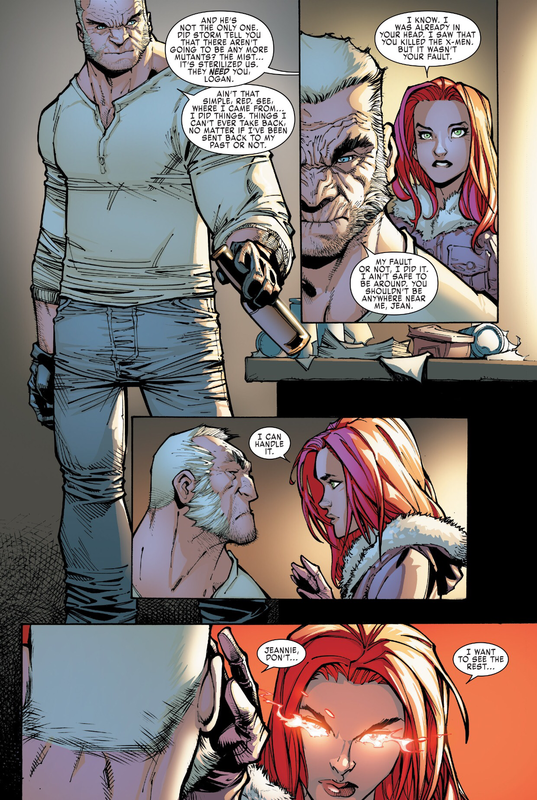 Emma Frost turns off young Jean Grey’s powers. 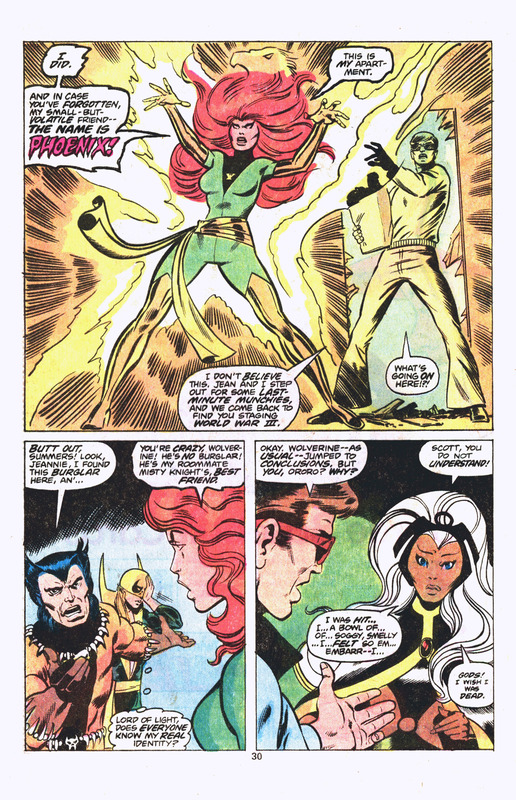 The Phoenix Force is an immortal and mutable manifestation of the prime universal force of life and passion. 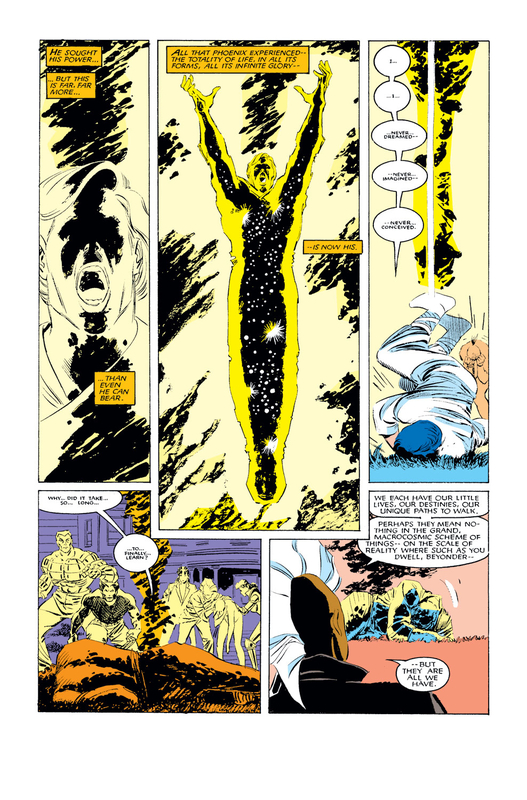 Born of the void between states of being, the Phoenix Force is a child of the universe. 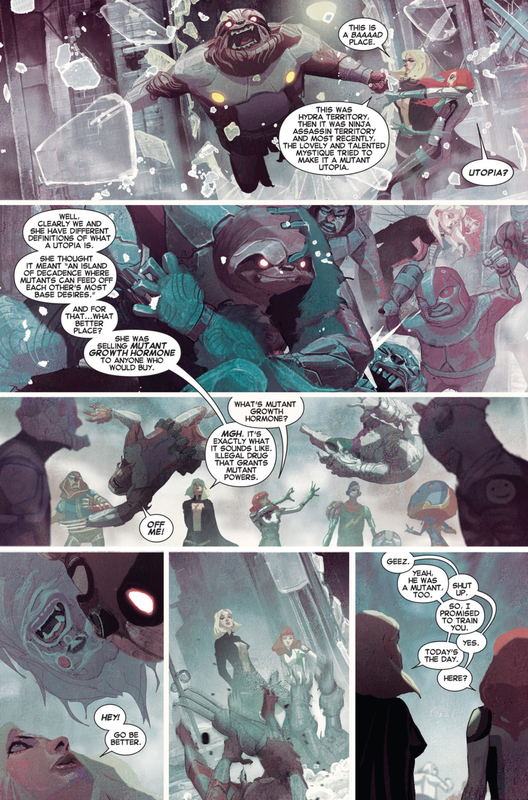 It is the nexus of all psionic energy which does, has, and ever will exist in all realities of the omniverse, the Guardian of Creation, and of the dangerously powerful M’Kraan Crystal. 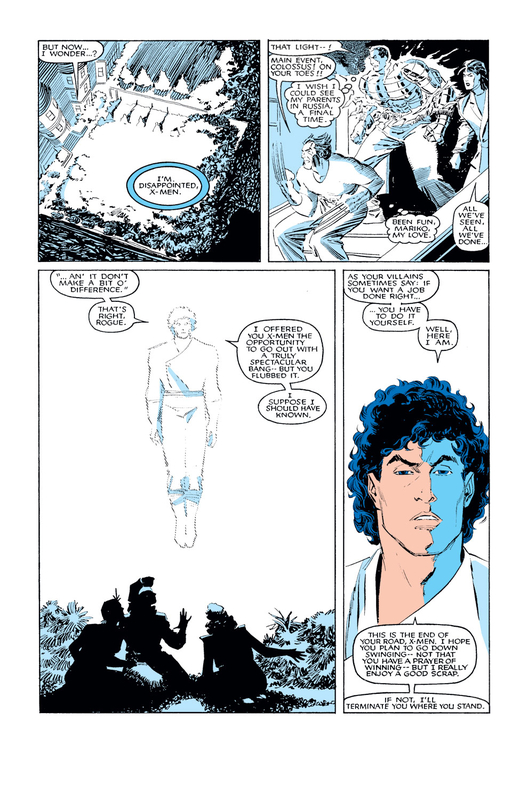 During its time as a sentient and nameless entity, it traveled the cosmos just like other cosmic beings. 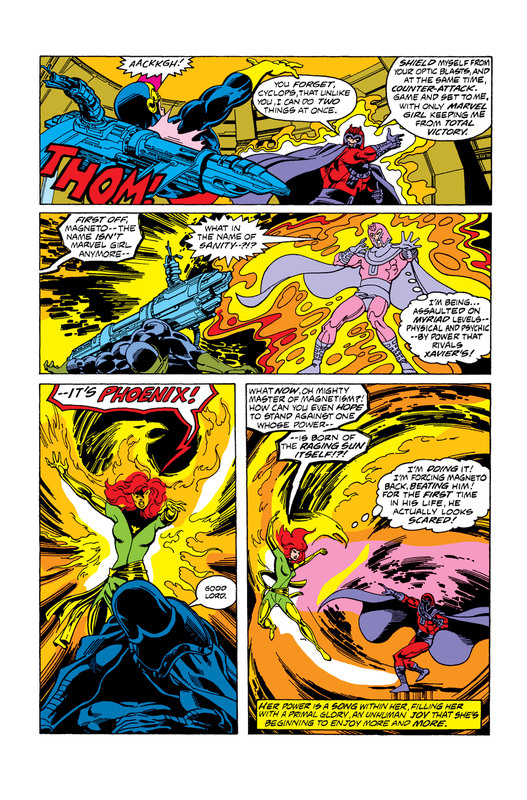 At first, the Phoenix Force was a formless mass of energy, but thousands of years ago, it came to Earth, and met a magician named Feron (who worshipped the legendary Phoenix), whose daydream-like visions prompted the Phoenix to adopt the firebird form it has today. 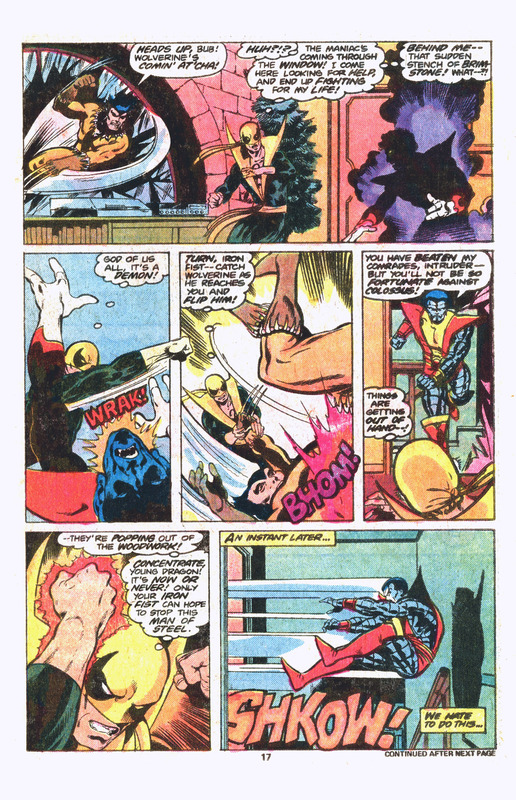 He asked the Phoenix to help him by lending its energy to project a stone pillar (which resembled a lighthouse) across the multiverse. 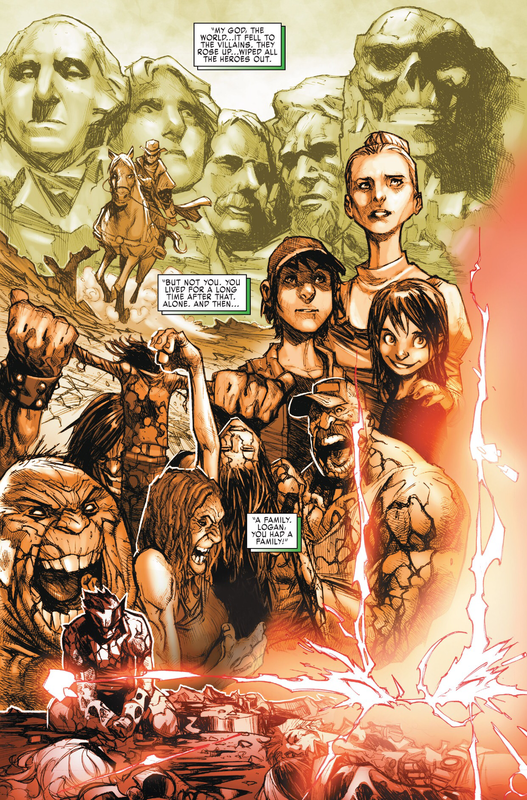 The pillar became the lighthouse base for the British super-team Excalibur (a team its future host Rachel Summers herself would join). 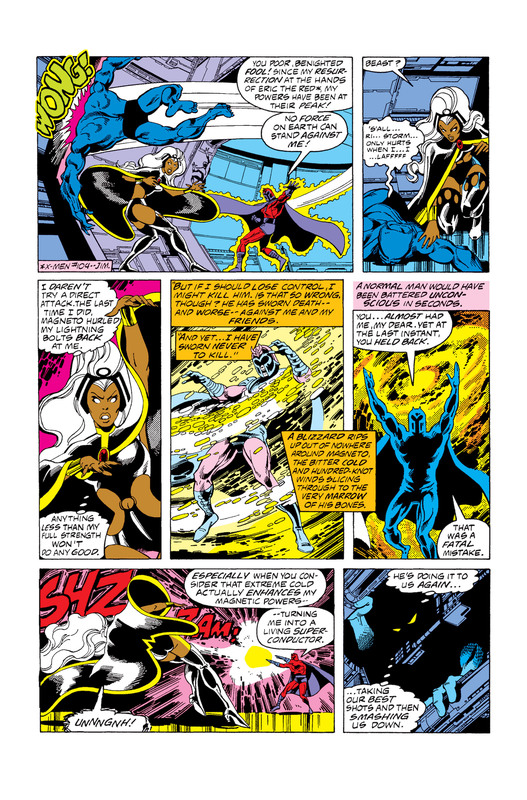 Afterwards, Feron was attacked by Necrom in an attempt to steal the power of the Phoenix. 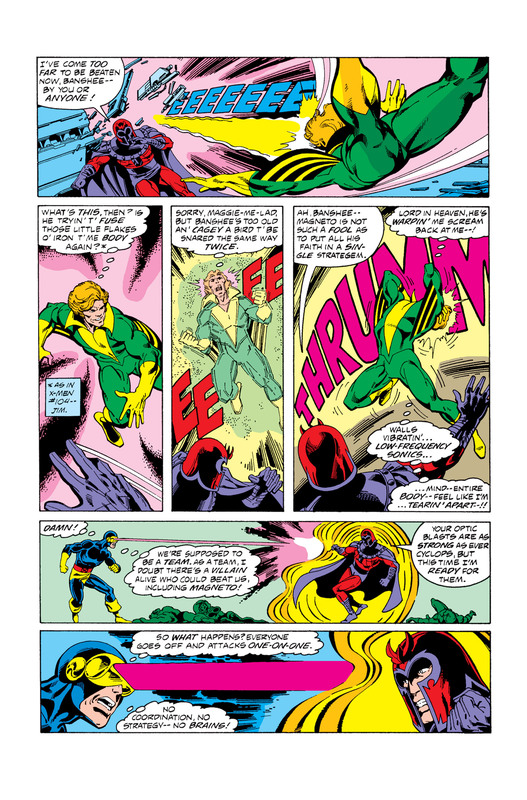 Feron, strengthened by the Phoenix Force, was able to fight back but Necrom was able to steal a fraction of the Phoenix Force’s essence forcing it to flee back to space in agonized confusion. 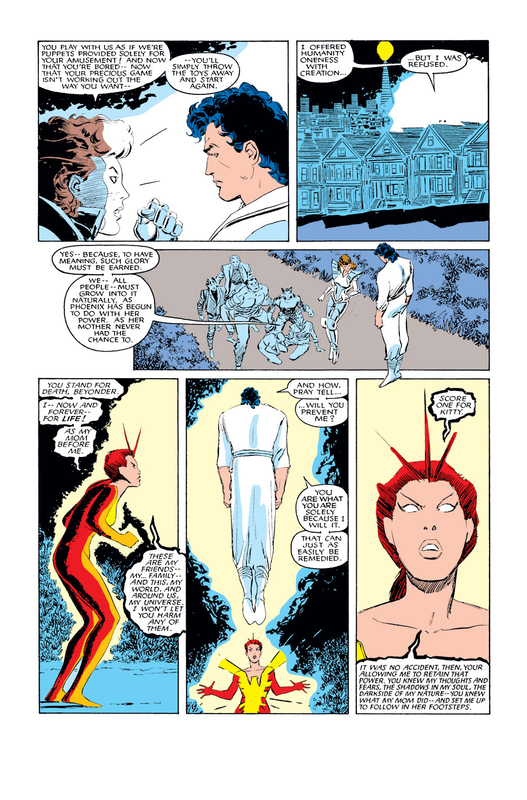 The Phoenix Force returned to Earth when it felt the mind of a human transcend the physical realm, a mind that resonated with the Phoenix Force’s energy. 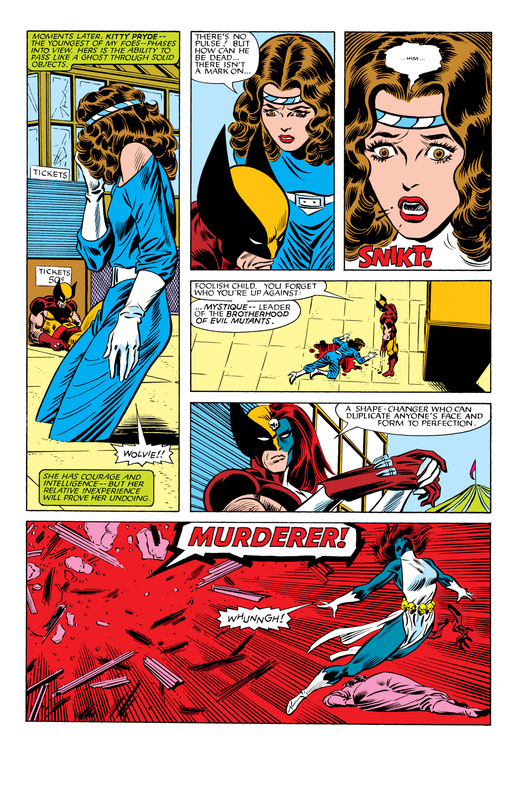 A young Jean Grey had telepathically linked her mind to her dying friend, Annie Richards, to keep Annie’s soul from moving to the afterlife. 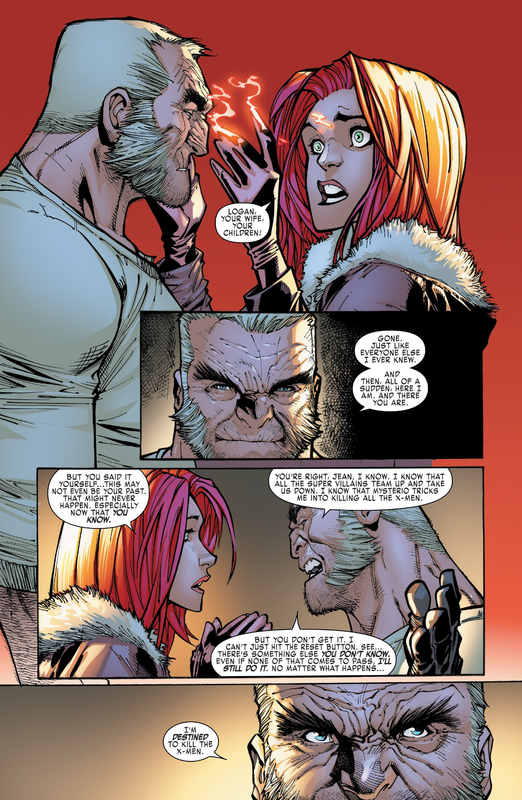 In doing so, Jean’s mind was being dragged along to the “other side” with Annie. 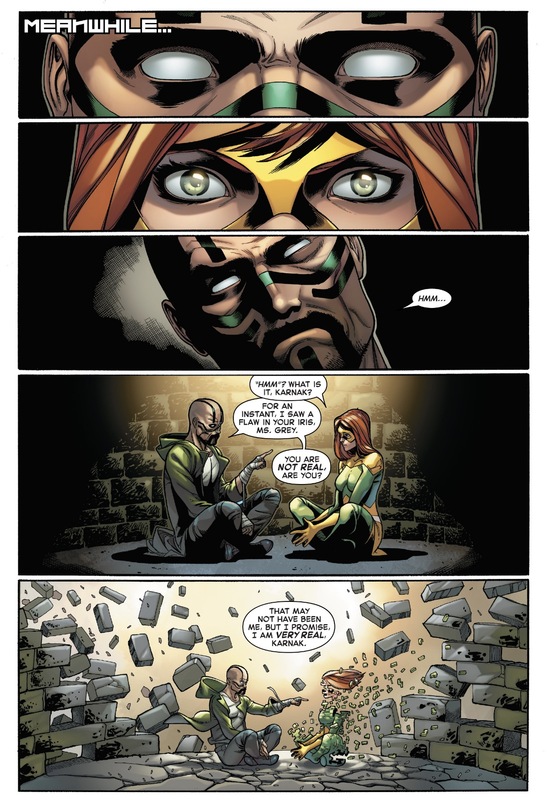 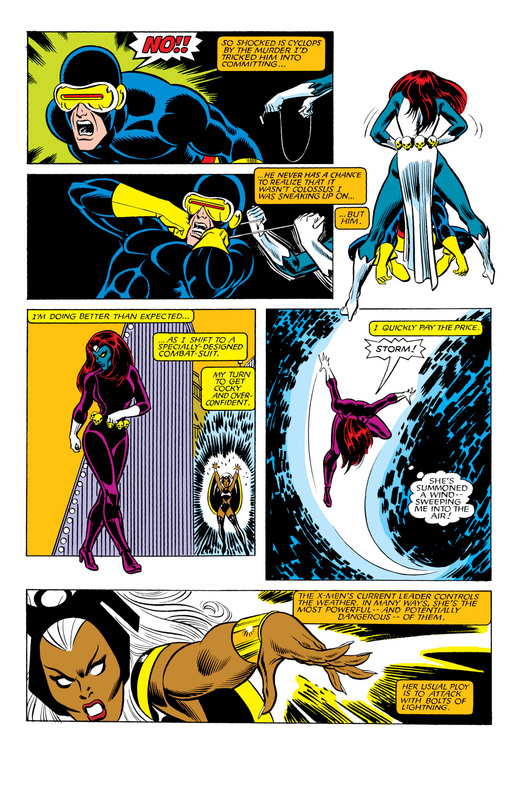 Phoenix lent its energy to break the connection, and kept close watch on young Jean, as it felt a kinship with the young mutant. 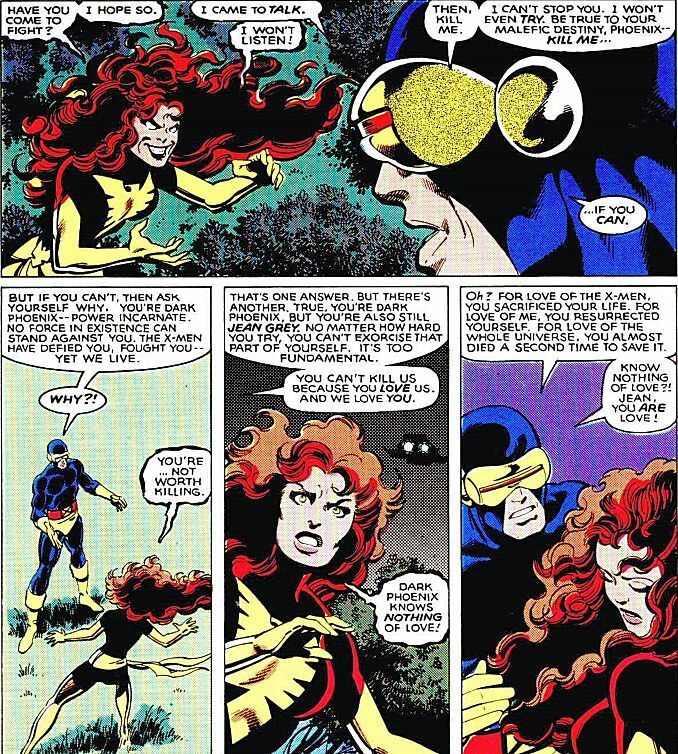 Years later when Jean was dying on a space shuttle, her mind called out for help and the Phoenix Force answered and saved her, transforming Jean into the Phoenix. 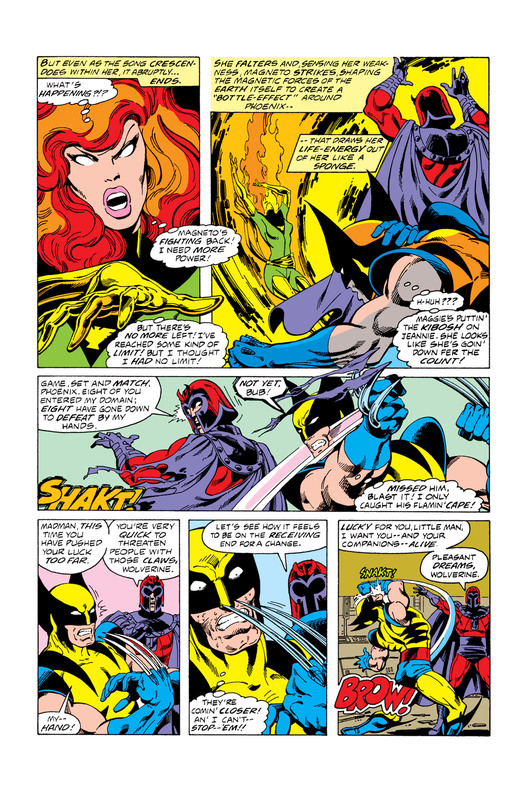 The Phoenix remained with the X-Men for only a short time. 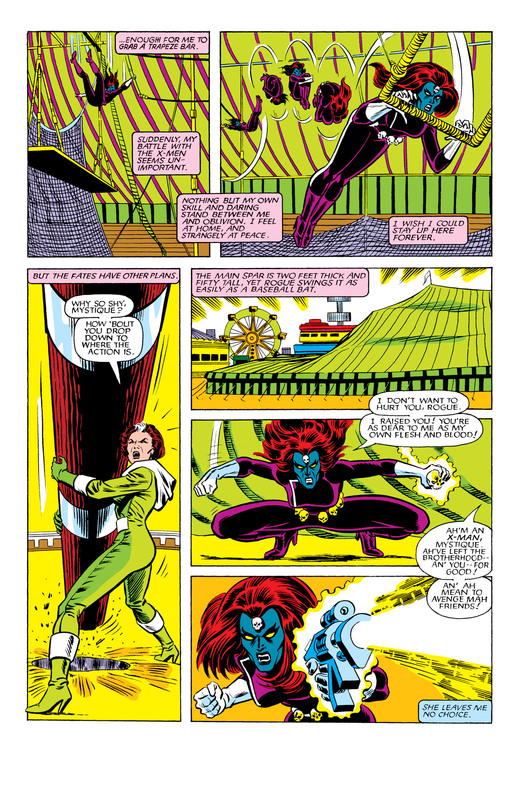 She prevented the complete destruction of the universe by repairing the damaged energy matrix at the core of the M’Kraan Crystal. 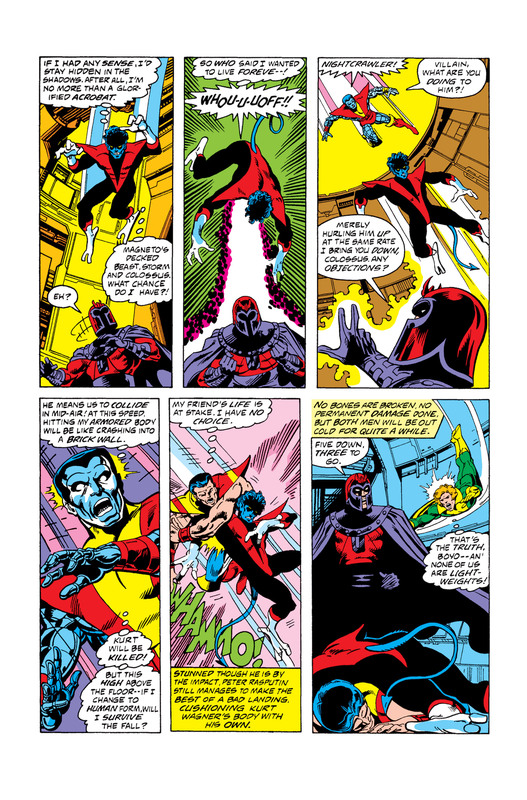 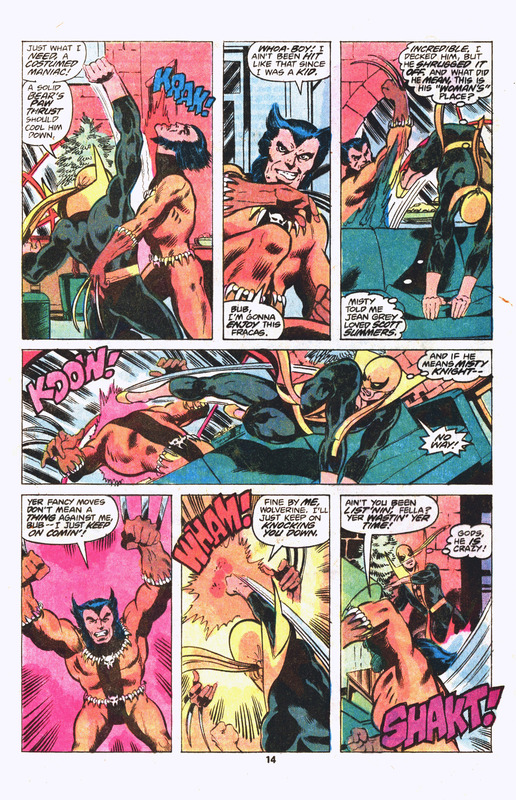 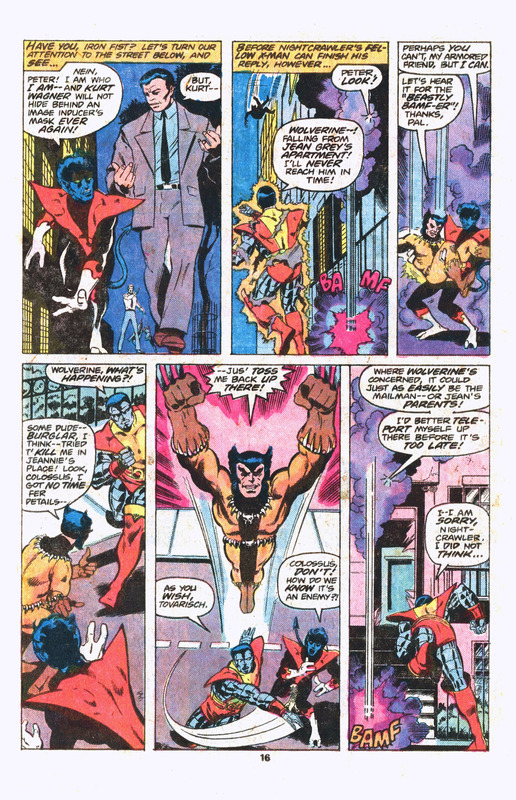 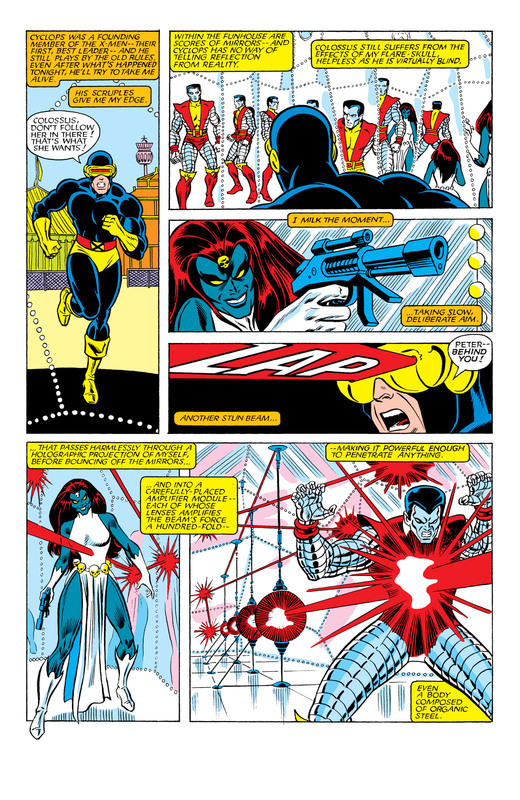 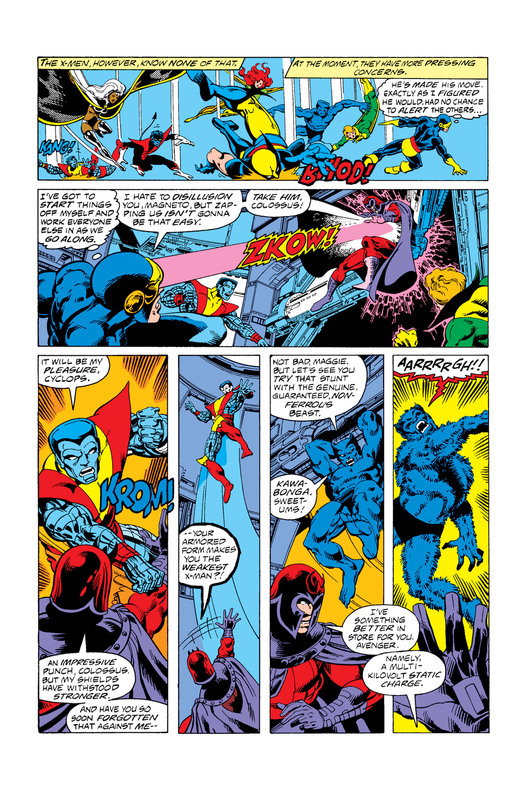 During a skirmish with the X-Men’s first and most deadly foe, Magneto, Phoenix and Beast were separated from the other X-Men, with each group believing the other to have perished. 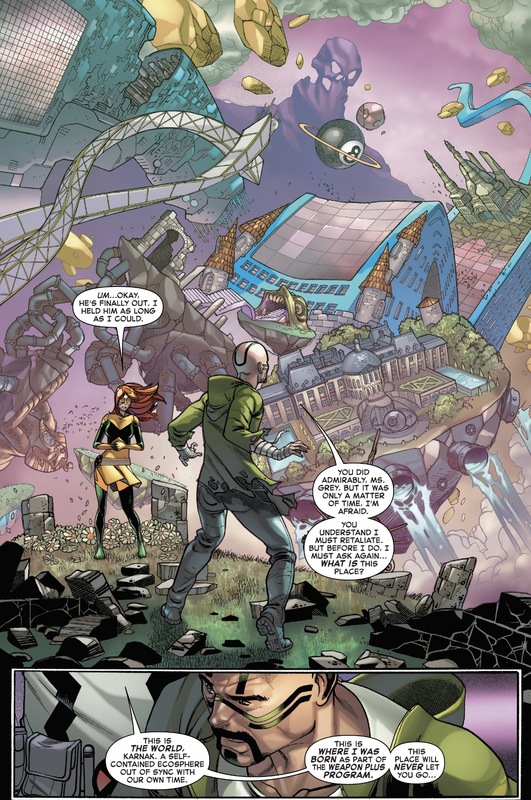 Phoenix went on a European vacation to gather herself in this new, lonely world. 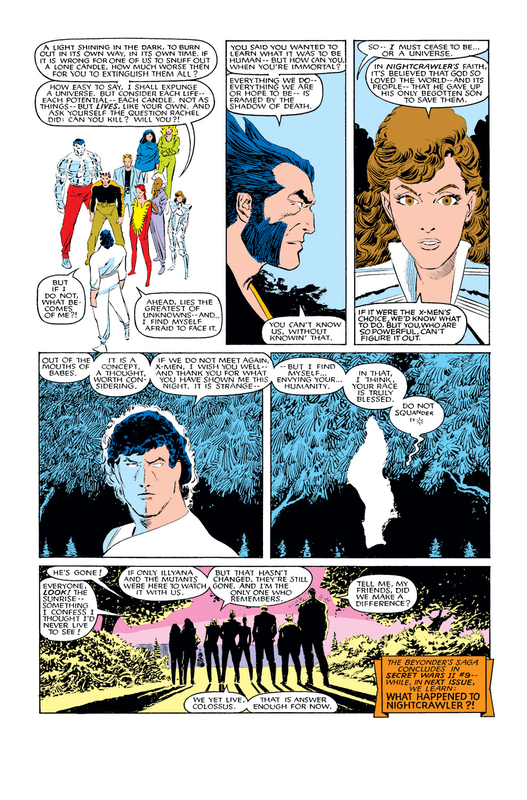 In Greece, Phoenix met a young and handsome man named Nikos, who is later revealed to be Mastermind, a mutant with the powers of illusion. 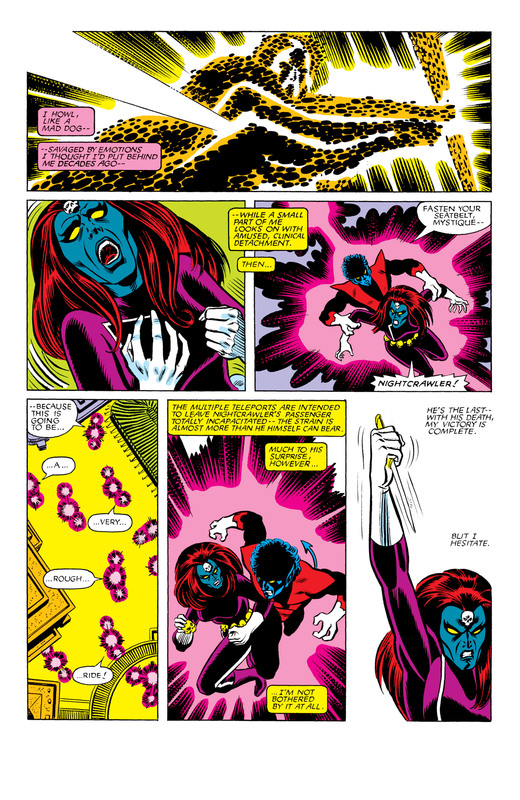 He began to plant the seeds of dissent within her fragile psyche by comparing her to a god and insisting she can do whatever she wants.